Don’t miss this life-changing event! 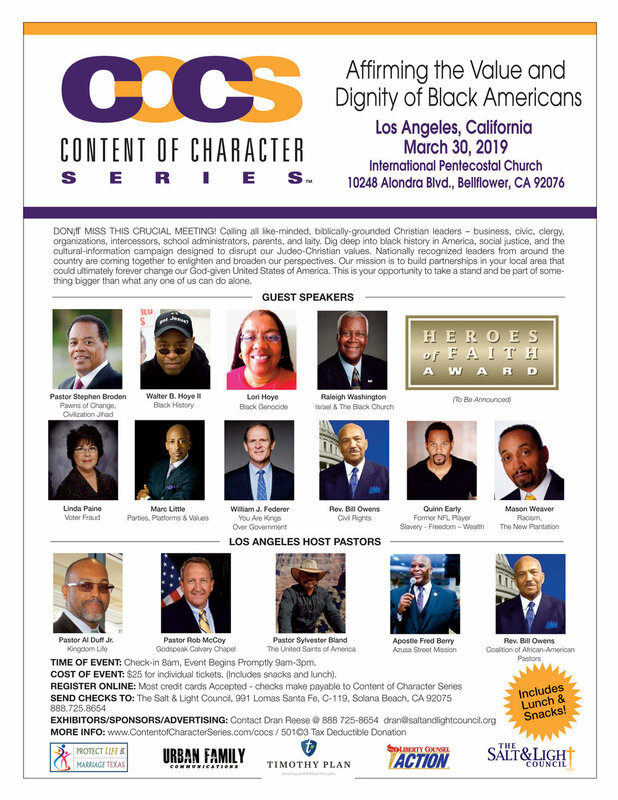 The Content of Character Series continues to attract people to a powerful and informative summit that features several host pasors from the Los Angeles area and 9 guest speakers to discuss a variety of cultural topics that will inspire those in attendance. Don’t miss this 1 day event at the International Pentecostal Church in Bellflower, CA on March 30, 2019.